How has technology changed music listening between the 90s to date. A large part of my summer memories are accompanied with a high-pitched version of ‘And I love her’ by the Beatles. ‘High-pitched?’, you ask… Its because it was a recording of a recording of a recording of a…. 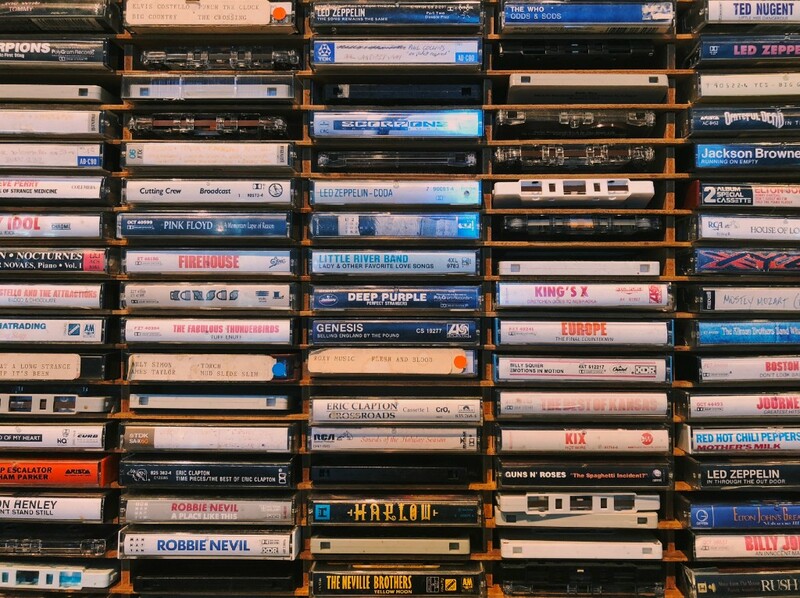 Cassettes those days were costly and songs were a prized possessions borrowed from friend, who shared it with you because it was a gem they wanted to show-off. I remember cassettes collected after putting pennies together, waiting for the big release. The fast forward buttons on the Walkman were tiring, and thus the song didn’t last just 3 minutes, it lasted a whole damn hour. Lyrics were carefully crafted by songwriters and written listeners alike. I remember looping this one line, a hundred times to make sure I heard that metaphor correct, and put it to paper, to never forget. Songs were not just a singular entity, pelted one after the other to keep you interested like they are today, but carefully curated to build a mood, a story with a melody, an experience. Someone once told me, there are two kinds of people in the world: the ones who listen to songs and the other who listen to bands, and the latter were more sincere with their fandoms and commitments. I’m not sure if its true, but I wonder can you even call yourself a ‘Metalhead’ if you can’t list down more than 10 songs from Metallica? Cut the chase to early 2000’s. MP3’s and limewires are in vogue. The internet though, was still a sluggy dial-up with 1GB limit. As a teen, I resorted to writing a whole lot of mp3’s, to never ever lose a song which got stuck in head for more than a day. Back then, I was heavily into punk rock, it was great to feel things as I looked outside the window to contemplate, or to scream with when I felt angsty, and this rebel girl had hella lotta angst. It was also the age of discovery of a lot of underground music, versions of covers accidentally downloaded over a p2p network or a small band that composed an OST for a film. With lot more memory space in mp3’s, all was written down and then discovered by a classmate and progressed to end up on their iPod/mp3player. As the decade progressed, and music accessibility became a whole lot easier with cheaper internet, torrents and YouTube. I struggled to keep my music as underground, a genre that was mine, a song that was personal. I struggled hard because you see it was also an era of bad remixes of perfectly good songs. And I guess I hate ‘things’ becoming mainstream, because crowds dilute sanctity, and rip-off meaning for ‘just another’ dance number, and I didn’t want that to happen to my song. There was still some ownership. So I shared these bands with only a handful of people, people who would ‘get it’. And I not only shared the band, I shared the bond with them, as they shared their bands with me, and it was sharing a little self-piece, something you identified yourself with. Speaking of crowds, has singing along in concert left you with goosebumps? I remember getting mine for the first time, in a quaint little hill-town by my favourite artists; there is something magical about a bunch of people coming out of their homes, just to watch a band perform live, and sing to the much-loved numbers in unison, feeling the same emotion as everyone else in the room(or an arena?). If you ask me, its beautiful, to relate a bunch of strangers, you have no connection with, but this one song. There is something about belonging, a crowd of people you can identify yourself with. They don’t make music like that anymore, do they? Music has changed, and so has my attention span….I can’t even remember the last time I listened to an entire album, or knew my lyrics by heart because user drop-offs is a thing which exists between songs, the stream is infinite, and the skip button is damn easy to press, its not even tactile anymore. Recently I thought I’ll take part in a social media fad, a #30daysongchallenge, and I was caught at a loss of things to say. And just about when I thought I had lost my title of ‘aficionado of melancholy feels music’, I’m asked to handle the playlist at a party in the wee hours of the night or on while on a road-trip, when everyone has run out of things to talk about, I can only think of playing the age-old timeless numbers by the likes of Kishore Kumar and more, a song all of us could fetch the lyrics for in a jiffy from the recesses of our hearts. Mixtape B-sides was originally published in UX Collective on Medium, where people are continuing the conversation by highlighting and responding to this story.